Create Waterman Polyhedrons with the Waterman Polyhedra plug-in for both Rhino 5 for Windows and Rhino 5 for Mac. 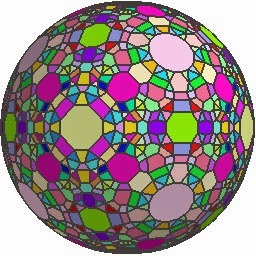 A Waterman polyhedron is created by packing spheres, according to cubic close packing (CCP), then sweeping away the spheres that are farther from the center than a defined radius, then creating the convex hull of the resulting pack of spheres. Some Waterman polyhedra create Platonic solids and Archimedean solids. Waterman Polyhedra provides both a Rhino plug-in and a Grasshopper add-on.